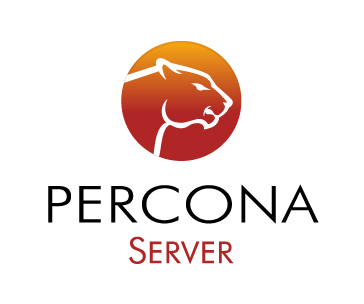 Percona is glad to announce the release of Percona Server 5.5.43-37.2 on May 8, 2015. Based on MySQL 5.5.43, including all the bug fixes in it, Percona Server 5.5.43-37.2 is now the current stable release in the 5.5 series. Percona Server is open-source and free. Details of the release can be found in the 5.5.43-37.2 milestone on Launchpad. Downloads are available here and from the Percona Software Repositories. A server binary as distributed in binary tarballs could fail to load on different systems due to an unsatisfied libssl.so.6 dynamic library dependency. This was fixed by replacing the single binary tarball with multiple tarballs depending on the OpenSSL library available in the distribution: 1) ssl100 – for all Debian/Ubuntu versions except Squeeze/Lucid (libssl.so.1.0.0 => /usr/lib/x86_64-linux-gnu/libssl.so.1.0.0 (0x00007f2e389a5000)); 2) ssl098 – only for Debian Squeeze and Ubuntu Lucid (libssl.so.0.9.8 => /usr/lib/libssl.so.0.9.8 (0x00007f9b30db6000)); 3) ssl101 – for CentOS 6 and CentOS 7 (libssl.so.10 => /usr/lib64/libssl.so.10 (0x00007facbe8c4000)); 4) ssl098e – to be used only for CentOS 5 (libssl.so.6 => /lib64/libssl.so.6 (0x00002aed5b64d000)). Bug fixed #1172916.
mysql_install_db would make the server produce an “Error in my_thread_global_end(): 1 threads didn't exit” error message. While this error does not prevent mysql_install_db from completing successfully, its presence might cause any mysql_install_db-calling script to return an error as well. This is a regression introduced by backporting fix for bug #1319904. Bug fixed #1402074. A string literal containing an invalid UTF-8 sequence could be treated as falsely equal to a UTF-8 column value with no invalid sequences. This could cause invalid query results. Bug fixed #1247218 by a fix ported from MariaDB (MDEV-7649). Percona Server .deb binaries were built without fast mutexes. Bug fixed #1433980. Installing or uninstalling the Audit Log Plugin would crash the server if the audit_log_file variable was pointing to an inaccessible path. Bug fixed #1435606. The audit_log_file variable would point to random memory area if the Audit Log Plugin was not loaded into server, and then installed with INSTALL PLUGIN, and my.cnf contained audit_log_file setting. Bug fixed #1437505. Percona Server client .deb packages were built with with EditLine instead of Readline. Further, a client built with EditLine could display incorrectly on PuTTY SSH client after its window resize. Bugs fixed #1266386 and #1332822 (upstream #63130 and #69991). Other bugs fixed: #1436138 (upstream #76505). 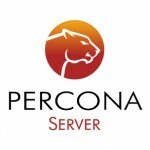 Release notes for Percona Server 5.5.43-37.2 are available in our online documentation. Bugs can be reported on the launchpad bug tracker.